A suburban house, a riverside condominium, a downtown apartment – whatever home looks like to you, we know it’s more than just a building – it’s a place that holds the most important things in your life. Your home – and everything in it – is also a significant financial asset, so it deserves a policy tailored to you. Your home insurance should provide protection against loss at a fair, competitive price. Our policies cover not only what is of significant financial value, but what is simply valuable to you. From extended replacement costs to damage done to your home in a covered incident, to covering lost, destroyed or stolen items, we’ll protect what matters most to you. Already a homeowner? 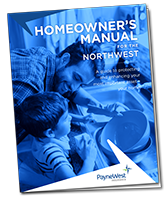 Download our comprehensive Homeowner’s Manual for safety checklists, inventory tips, emergency numbers and more.